On every level, giving Disney's Planes only four stars seems like an insult. So I am updating the Movie Review Star System so that I can give this movie 10 Stars. Yes, in my opinion, it's that good. But I'm also a proud Airplanista, so Planes pushes all my happy buttons. It's a movie with TALKING AIRPLANES...what's not to love? 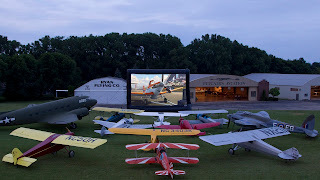 An enthusiastic overflow crowd filled the Ford Motor Co. Fly-in Theatre on the EAA grounds on Friday night, August 2, to witness a true world premiere, seeing this entertaining movie exactly one week before it opens in wide distribution nationwide. And while this was indeed an audience partial to airplanes, I'll go so far as to say you could probably count the haters in the crowd on one hand and still use, um, one of those fingers to tell them what the rest of the aviation world thinks of their opinions. In some ways, the accuracy was so perfect, it hinted at "on the nose" dialogue. In one scene, when Dusty Crophopper - the movie's lovable star - flies into JFK Airport to start his around the world air race, the ATC instructions he receives were exactly, to the word, what a pilot arriving on an IFR flight plan to start an ILS approach would receive. Sure, haters will say that Dusty was probably flying VFR, but was receiving IFR instructions to fly an approach. I will let the hater forums settle that score. I think the scene shows that the people at Disney did some pretty thorough homework. As a pilot, I found the flying segments of the movie - which is pretty much the entire movie - to be very accurate and spot on. One must remember this is a CARTOON, it is fantasy and airplanes cannot really fly through train tunnels. Real airplanes usually do not survive a crash landing into the Pacific Ocean miles from any land mass. But in Planes, none of that matters, because this is a CARTOON! 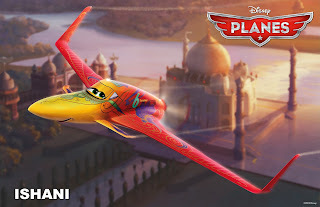 Just like in the Roadrunner, which featured characters living through a disastrous meeting with an ANVIL dropped from space, Planes does take creative license to launch these characters on a wild ride that is fueled by imagination through a fantasy-based world. There were few surprises in the storyline of Planes. If you've seen Cars, you will recognize the arcs in this script. Farm Boy Cropduster goes up against the evil Ripslinger and takes on the world. If you come to see Planes for an intricate plot that reveals multiple layers of each character and in-depth backstory, you might be disappointed. But while Planes delivers a story you kind of expected, it also hits complete home runs in the way it delivers that story. This script is flat out funny, and the actors who voice the characters could not be better. Dane Cook, as Dusty, is perfect, and his work in this lead role makes you fall in love with the little cropduster with the big dreams. There are enough plot twists you did not expect to keep things interesting, and given the short attention spans of this movie's target demographic, the use of short, rapid-fire scenes keep things moving forward. I especially liked the way the characters displayed romantic interests...this I did not see coming. One particular scene in which El Chupracabra - voiced with exquisite Latin flair by Carlos Alazraqui - tries to "woo" Rochelle is pure animation gold. I believe this movie has the potential to be MORE popular than the Cars franchise. 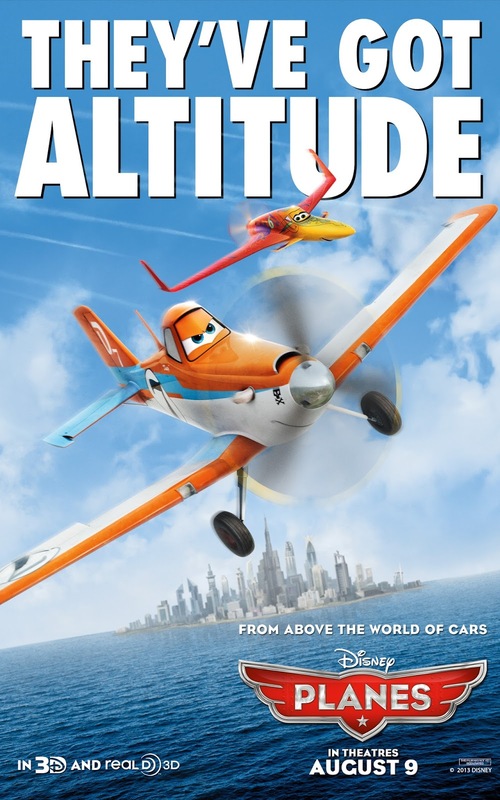 Most children love airplanes, and they will love the wonderfully-crafted characters in this movie. I'm a 50-something kid who already has the complete cast memorized, and can still become giddy whenever Ishani flies into the frame. Kids will soon have their favorite characters, and we can be assured that action figures, models, stuffed toys, posters, games, etc. of Dusty, Rochelle, Skipper, Ripslinger, Bulldog and Ishani will soon start raising awareness with this prime demographic that flying is very, very cool. A video shown before the premiere at AirVenture confirmed Planes: Fire and Rescue, is the sequel now in production and scheduled for a July, 2014 release. Hmmm, I wonder what huge aviation event is held each summer in Wisconsin about that time of the year? 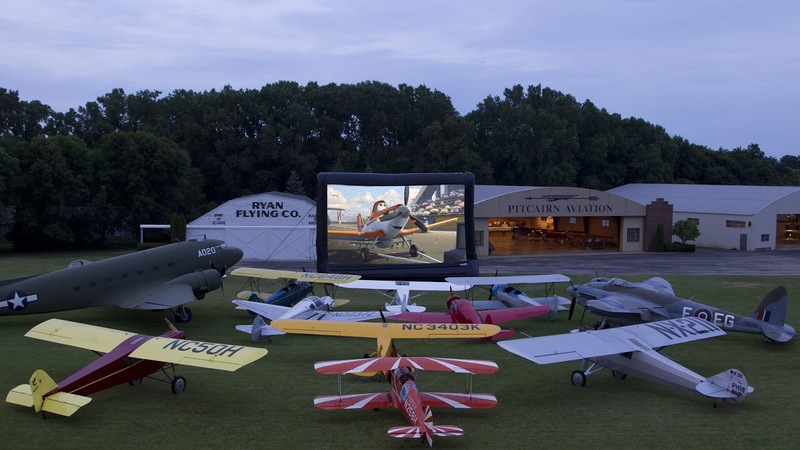 Could be that this week's world premiere of Planes will not be the last that AirVenture attendees will get to enjoy. After enjoying every frame of Planes, I'm more convinced than ever that this movie will be a very valuable tool in GA's quest to engage children to learn about flying. When they see a Cessna or Piper fly over and ask "Is that Dusty? "...the producers will have done their job of helping the entire aviation family to start developing a love of aviation in our very youngest Airplanistas. This new excitement should translate into student starts, pilot licenses and airplane purchases later in life. When that happens, we should all thank the team that brought these characters to life to began what I hope is a long Planes franchise. 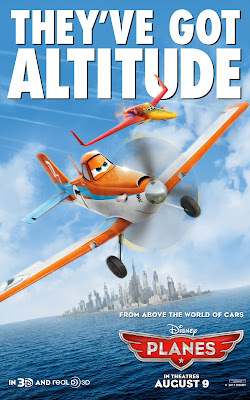 If you're a pilot, or just think airplanes are cool, round up any and all children in your family and GO SEE THIS MOVIE. After it is over, drive those kids straight to the nearest GA field, walk up to the first pilot you see, and ask if the kids can see his/her airplane. Of course the answer will be yes...and the kids will be on their way to a lifelong love affair with the sky.